EPIC Paradigm Group (EPIC) is a minority-owned business enterprise established with the intent to serve as a reliable and qualified Technology Solutions Provider. EPIC has offices in Cleveland, Ohio; Canton, Ohio; Camp Springs, Maryland; and, Little Rock, Arkansas. EPIC Paradigms Group is an emerging global Information Technology and Professional services headquartered in the State of Ohio. EPIC possesses a multitude of disciplinarian skills and competencies ranging from the design and development of large information technology enterprises to demonstrable experience in providing reliable, state-of-the-art, fully integrated technology and communications services to enable its consumer and government clients to realize their respective operational objectives. 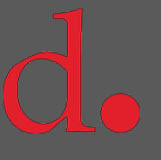 We define ourselves as a Management and Technology Integrators capable of providing highly skilled professionals typically found within larger organizations yet small enough to respond to specialized skill sets difficult to find by smaller staff augmentation firms. 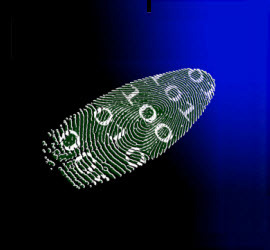 Systems Integration and Technology Insertions to meet client requirements. These Practice Verticals are currently being offered in three industries: the Federal and State Government; Construction Services – Solar Energy, Low Voltage, Audio/Visual Solutions, Facilities Management (Building Information Management) and Security (Access Detection Solutions); Governmental Affairs; and, Hospitality. The company is well versed in local and regional planning, regulatory, market, environmental and development matters, and principally acquires unimproved, un-entitled property in the mid-Atlantic region for long-term development. The company develops a vision for each property, seeks the input of local communities and other interested parties, undertakes the rezoning and entitlement processes, and physically develops the properties into finished communities. Residential, retail and office components are sold to national and regional builders under coordinated programs that govern the type, style and level of finish of each of the products constructed by third-parties. EPIC Paradigms Group (EPIC) offers Design, Build and Operate products in each community through its Subject Matter Experts, Teaming Partners and Affiliates. We deliver according to our project agreements. Because of the nature of design, construction, and programming, EPIC Paradigm Group will be limited in showcasing past projects for security and privacy of our clients. As a Founding Member of the Weirton Area Port Authority (WAPA), EPIC principals served in the capacity of functional design, business development and investor recruitment. 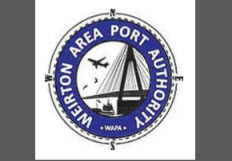 The Purpose of the Weirton Area Port Authority, Inc. (the “Corporation”) was to develop and operate resilient communications and transportation systems at a local port in Weirton, West Virginia. WAPA served multiple missions within the area: to facilitate security, safety, promote economic development and establish sustainable job creation solely for the common good and general welfare of the Weirton Area Port District community. Moreover, the development concept was to improve access to national and international markets for West Virginia businesses and improve tourism by providing recreational infrastructure on inland waterways. Team principals worked with Grunley Construction who was commissioned and charged to complete renovation of the 277,000-square foot historic establishment, The Watergate Hotel. 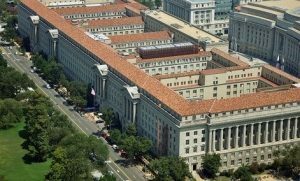 The renovation project entailed an impressive renovation of the Hotel function within the five buildings that make-up the Watergate complex listed on the National Register of Historic Places. The Grunley renovation was a collaborative effort of numerous construction disciplines including, but not limited to: demolishing and fitting-out the interior of the 13-story, unoccupied building; repair and replacement of the mechanical, electrical and plumbing systems; refurbishing the amenities within the new five-star, 348-room Hotel outfitted with two restaurants (one with a terrace), two ballrooms with substantial structural work, a rooftop lounge, and five new large terraces; and, for its support part, EPIC principals provided Project Management of the low voltage requirements focused on the renovation’s Security and Audio Visual component requirements throughout the Hotel. 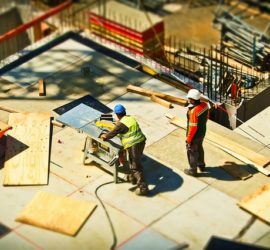 As with other construction charges, Company principals provided low voltage support. In this particular build-out, however, the Company also was tasked with providing telecommunications support that entailed the cabling, communications patching and installation of the 1,200 Hospital NEC SV 9500 and UM8700 Multi-line telephones designated for the staff and administration. This assignment was mission critical to ensuring the early success of the facility as it begins to serve the thousands of Veterans in the Charlotte area. Served as the Project Management support function for the low voltage Audio Visual and Video-teleconferencing aspect of the Open Office Concept initiative and worked with its primes (Grunley, RTKL and Hard Light Consulting) to deliver the integration of over 40 collaboration systems that provide the Department of Commerce with a modern work environment for the DOC’s 3,200 employees. 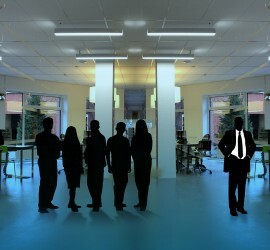 The system included automated conference room controls for the video displays, sound systems and video conferencing systems located in the collaborative spaces. The system also includes an enterprise room scheduling system, which is integrated with the DOC’s Outlook and Gmail Calendar system.